I always like to add a few touches of Christmas to the kitchen. One year I had a big tree in the kitchen and another I had a smaller one on the island. This year~ it's just a little garland, boxwood wreaths and a couple rosemary trees. Boxwood garland along the tall shelf and boxwood wreaths from Lowes in the windows. and a favorite holiday saying on the chalkboard in the breakfast area. 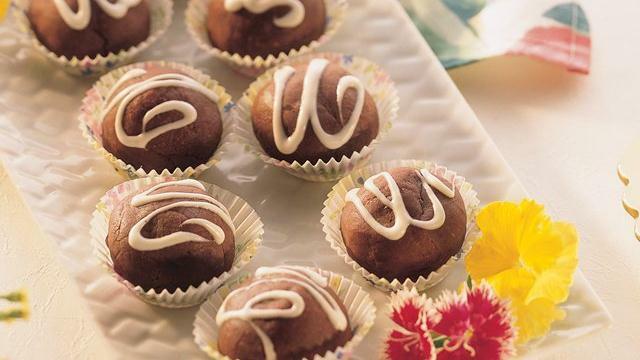 I have been making these for years- and the recipe is from Pillsbury. mix flour, nuts, chocolate mixture and vanilla and mix well. 3. Place 1" apart on cookie sheet and bake for 8 minutes. Do not overbake- cookies will be shiny. 4. Mix the white chocolate and oil and drizzle over baked cookies. I have also made them with peanut butter cups and kisses with almonds inside. LOVE hanging out in your kitchen, Courtney! Looks lovely. I bought a boxwood wreath this year too. Do you know how long it will last? Can I store it and use it again next year? I think if it is a preserved boxwood wreath it will last longer- but not sure how long. I believe you can get them either preserved or fresh. I have seen the color of the boxwood fade and dry out a bit- but I think I would use them either way. Lovely photos. Your chocolate Bon bons sound decadent.. Your kitchen looks so beautiful!! I hope you and your family have a very Merry Christmas!! I use Pam, cooking spray on my fresh boxwood to keep it from drying out! Your kitchen looks lovely! Just the perfect touch of Christmas. Thanks so much for the recipe...it looks quick, easy and so delicious! Your kitchen is beautiful, of course. The bon bons look so yummy. I have too many goodie ideas from blogland. I have to narrow it down, or we'll be in sweets overload. Merry Christmas! Those look delicious Courtney and your kitchen as always divine! Love the kitchen, Courtney! Have a Merry Christmas. They sound amazing...like your kitchen! I don't see how much flour to put in the recipe, though. ooops... more coffee needed when writing a post early in the am.. ;) It's 2 cups of flour. Thanks for letting me know. Merry Christmas! Hi, Courtney! Love the simple Christmasy touches in your kitchen. Perfect! Your kitchen looks so fresh and the greenery is the perfect touch. Have a very lovely Xmas from Primroses Attic. Hey chickadee!!! I love the island and the garland and wreath! I hope u and your family have a wonderful Christmas!!! Come by and visit my decorating/crafting blog! I just posted my Christmas decor! Your garlands in the kitchen look wonderful. Merry Christmas and all the best in the New Year. Your kitchen looks beautiful--I love the garland in the window! Merry Christmas to you! Love the simplicity of your decorating. Less is more. Thanks for the cookie recipe, it has to be delicious with so much chocolate, yumm! Can i come up and visit and have a cookie or 2?